Do you feel you are living the life you know in your heart is for you? Have you been fully supported to grow into your soul’s purpose? Imagine what your birth may have been like if each newborn were seen as a wise spiritual being who brings irreplaceable gifts to our world. Think back to your first period. Is there any way you would have wanted your experience to be different? If you are a mother, think about the births of your own children. What would the experience of aging be like in a culture that values elderhood as the ultimate goal of a life well lived? Imagination is a powerful tool. When we imagine together, we amplify the effect. Starting this April 2014, a circle of 13 women will gather to explore meaning, healing, and celebration of five major transitions in our lives as women. No matter what our age, we all carry these archetypes within us as part of the full expression of our being. We will share five three-day weekend retreats throughout the remainder of the year, each beginning with a co-created community celebration Thursday evening and coming to a close on Sunday evening. We may decide to further explore together in the times between retreats if it feels relevant and helpful. Thursday Celebration: Sow the Seed, a wake for our lives until now. Pilgrimage North: We explore the quiet, the darkness, the stillness between worlds, imagining our birth as a conscious act, a choice to embody on the Earth. We reconnect with experience in the womb, and invite recall of birth memory. Aspects of ritual, meditation, dark retreat, and breathwork will be employed. We will use what comes forward in this retreat to inform our creation of the next celebration, where each woman re-imagines the birth experience and welcome that is right for her. Thursday Celebration: Sprout, a party for the day of our birth. Pilgrimage East: We explore menarche, coming of age, reconnecting with the vision for our lives that was clear before birth. We will work with self-knowledge, with boundaries, with forces of nature and growth. This retreat has a solo camping component. What comes forward in this retreat will inform the creation of the next celebration, where each woman re-imagines her welcome into a community of wise, loving, vibrant women. Thursday Celebration: Bud, a coming of age ceremony for our inner maidens. Pilgrimage South: We explore motherhood, both literally and metaphorically, as we embody the power of the creative feminine to bring our dreams to life. 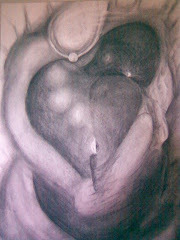 We will work with sensuality, sexuality, creativity in various media, and the symbolic element of fire. We will bring forward what comes out of this retreat to create the next celebration, where each woman celebrates the mother/creator within. Thursday Celebration: Blossom, a mother’s day opening reception. Pilgrimage Center: We explore what it means to sit fully on our thrones, to be in service to community from a place that is grounded in Self, to overflow with self-love and self-nourishment enough to give truly to others. We will connect with the bounty of local harvest from Mother Earth, feeding and nurturing ourselves and one another. Our experience of this retreat will inform the creation of the next celebration, where each woman honors what it means to her to be Queen in her life. Thursday Celebration: Fruit, a coronation ceremony for our inner queens. Pilgrimage West: We explore the gifts of the Crone, the Elder Woman, who knows how to grow deeper, wiser, and more radiant as she grows older. Our society seems to worship youth, leaving little to look forward to as time goes on and one’s value seems to lessen. In certain indigenous cultures, the goal of life is to become an Elder. Beauty is not just skin deep. This is a powerful time of life. Final Celebration: Seed Anew, an honoring of our inner crones, and a celebration of the cycle of our year together.